Robert B. Bell in an undated photo. Robert Benjamin Bell was born June 23, 1833 in North Carolina. Around 1840, his father, William Bell (a veteran of the War of 1812) moved the family to Arkansas where he established his new home via a government-issued land grant. He was well-educated and had already begun a career as a teacher when the Civil War broke out. He and several of his neighbors were "Union" men, but they were forced by the Confederate forces which ruled the area to join the South. He, his brother Sidney and some of his neighbors ran away and hid in the woods. Some of his neighbors, possibly even Robert's brother Zadock, were later hanged or killed, according to his letters, by the "Rebs." When the Union forces finally established themselves in the Pine Bluff area, Robert and several others immediately joined Company F of the 28th Wisconsin Infantry, and were mustered into service on March 10, 1864. His younger brother Sydney unfortunately died of dysentery in camp on July 4, 1864, less than four months after joining the regiment. Robert served with the 28th until the war's end, when he was mustered out July 31, 1865. 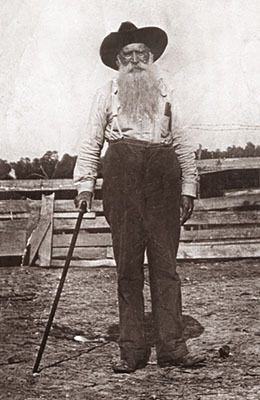 Robert returned home to both teaching, farming and even was the U.S. Postmaster for his area near Rison, Arkansas. He stayed in touch with several of his 28th Wisconsin comrades (many of which now resided in the North). Several of them wrote letters to the Congress on his behalf, when he was initially turned down for his army pension. One of his comrades, Albert Gallatin Jones even married his sister Elizabeth. Robert died July 26, 1912 and is buried in the Bell Family Cemetery near Rison, Arkansas. Pvt. Bell's biographical sketch was generously shared by his great-great grandson, Steve Locke.